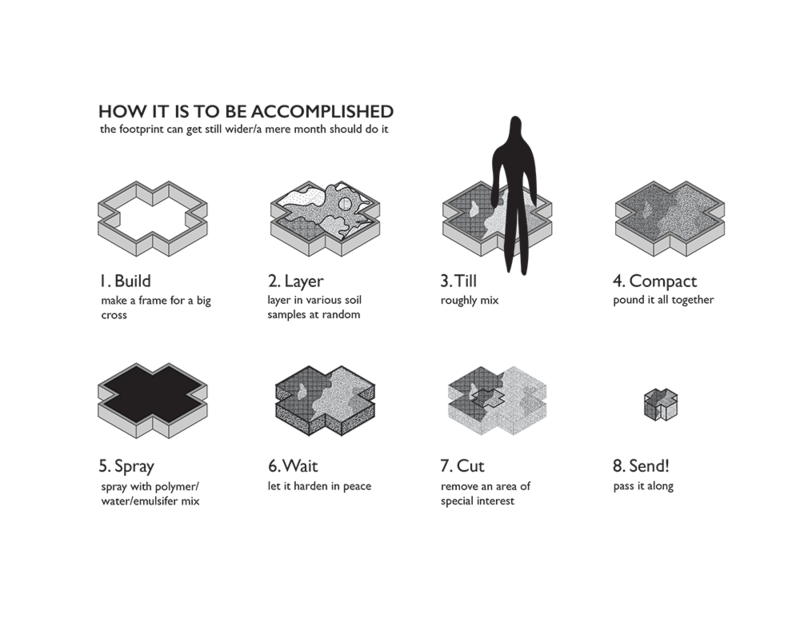 The following was a proposal for the Objects competition attached to UT Austin’s forthcoming The Secret Life of Buildings symposium. This proposed object is a 1’ regular cruciform of solidified soil, manufactured by adding a binder to material gathered from the back lot of a 1920s Craftsman-style bungalow. The quintessential “trash that talks back,” urban soil is a compressed language resource: it is equal parts noise and signal, partially inert and partially latent. Most pertinently for the occasion at hand, it takes on the character of the buildings it comes to surround. Over time, it accepts tarpaper, screws, washers, lead paint flakes. And as it compacts, it comes to repel its former inhabitants: water and organisms. -It must look like an object, and thus hold itself back from run-of-the-mill high aesthetics. -It must be novel enough to burnish the bonafides of all involved, while humble enough to be properly shippable and objectlike. 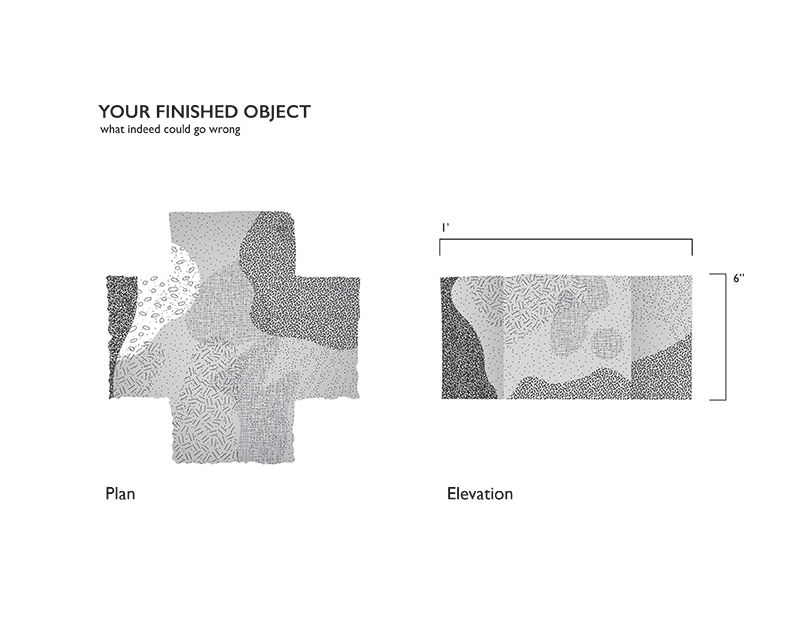 -It must speak to architects in a pidgin they are already halfway to understanding – hanging some new connections between the pieces of an old syntax or vocabulary. *I should have just said what I meant: I want it to fall apart again.